As you may have guessed by the title, this is the third and final part of my observations about the relatively new shows 2 Broke Girls and New Girl. To read the first two posts about cast and humour click on the respective words, or just scroll down if you’re already on the front page. For the most part, I’ve already gone into great deal about this topic and 2 Broke Girls in my post titled “Michael Patrick King, Definitely Not Being Racist.” To summarize a lot of what I’ve already written in a few words, the show is not great when it comes to boiling people of different ethnicities down to their bare bones stereotypes. Or they’re really great at it, depending on your point of view. Per episode the show has a much greater number of new characters as its stars find themselves stumbling into such locales as a thrift store and a pharmacy in a Jewish neighbourhood. With that being said, they’re given countless opportunities to put different spins on people from different cultures and backgrounds, but fall flat again and again. I’d recommend that you turn to the post I linked to in the paragraph above to get a more in-depth look on the matter. 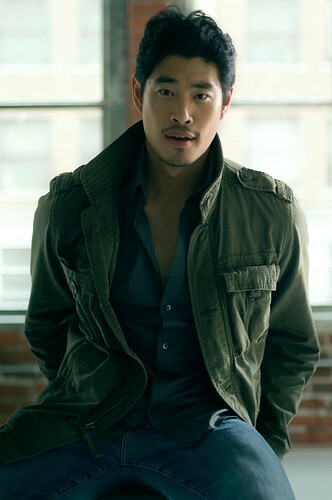 The show’s approach to race has made it the recipient of a lot of flak, and their most recent decision to alleviate said criticism is to bring in a “hot Asian guy.” A casting call was put out last month which sought to find an attractive male of Asian descent to act as a love interest to Beth Behr’s Caroline Channing. While this may seem to be a dictionary definition for “affirmative action,” it may be a step in the right direction. Just like Morgan Freeman and his approach to Black History Month, New Girl tackles race by not making it a big deal. And it does so flawlessly in the first few episodes. The pilot has Zooey Deschanel’s Jess meet a perfectly nice Asian guy who later stands her up on their date. Yes, he’s made out to be a douchebag, and no, that’s not particularly flattering, but you know what else it’s not? A stereotype. Similarly, in the third episode, “Wedding,” the newlyweds are an interracial couple, with an Asian groom and a Caucasian bride. There is not a single character who makes a big deal out of it, and everyone on the show takes it as completely normal. Because it is. This is not a situation I can see the writers of 2 Broke Girls passing up for comedy, and the fact that I’m 100 percent certain of that is a sad thing. Since it’s not plumbing the depths of New York City for people from different ethnicities and the like, New Girl has less diversity than 2 Broke Girls. That being said, its treatment of nonwhite characters is, well, nothing special, which is great. A mixed race group of students might show up, or an Asian judge [“Bells” and “Jess & Julia” respectively], but no one makes jabs or even hints at ethnic stereotypes. The closest thing the show gets to a joke about race is Winston’s one-liner about Black Friday [I had a YouTube clip but it doesn’t work now; sory]. I’d seen that video of Morgan Freeman years ago, but it never struck me until recently how true it is. If the media simply acknowledges that we live in an incredibly diverse world and stops calling attention to details as nongermane as ethnicity, then we can live in a world where racism truly ends. This entry was posted in race, television and tagged 2 Broke Girls, Morgan Freeman, New Girl, race, racism, representation, stereotypes. Bookmark the permalink.